“Many of today’s successful musicians are products of families with some degree of wealth and education. They are provided with the best schools, the best private teaching and the best instruments. 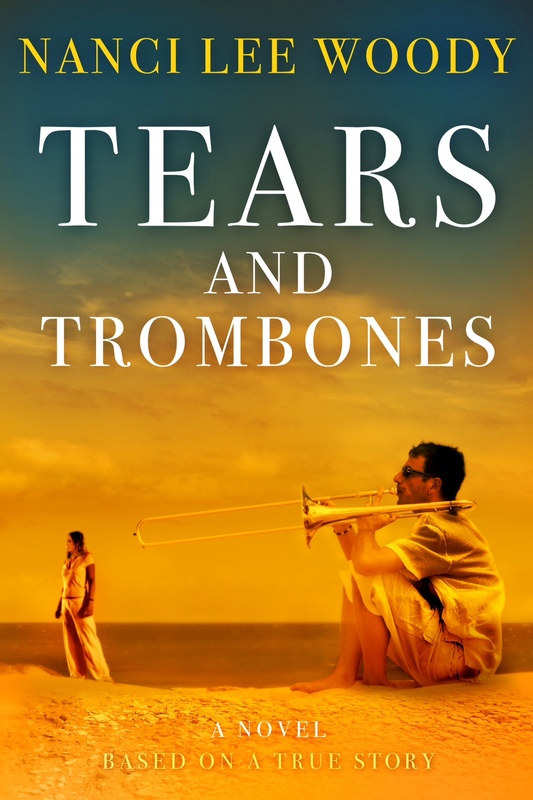 Tears and Trombones is about the coming of age of a young trombonist, Joey, from a lower class family. His struggle to pursue his passion against the wishes of his hard drinking, heavy-equipment-operating father provides the backdrop for a segment of the boy’s life that is insensitive and often cruel. It is truly a miracle that Joey attained any degree of proficiency on his instrument. And, while he endeavors to become the best, he encounters romance along the way. The reader is tantalized by the tender, intimate moments that provide a refreshing break from the oppression of his father. Joey’s character becomes more defined and his life becomes more complicated as he has to deal with the adult issues of reaching the “impossible dream” or settling for the “road most travelled.” This novel is a roller coaster of highs when the reader is sharing Joey’s successes, and lows when the father keeps snuffing the flame of his aspirations. Ms. Woody punctuates her tale with some very funny moments, most of which result in retaliation by the boy for a cruel act of his father. Twelve-year-old Joey has a dream. A dream that came alive within him after his mother scrapes together enough money to take the young boy to the city to hear a symphony orchestra, where the sights and sounds come alive within him. He wants to play the violin, however, circumstances leads him to the trombone and despite his father’s objections and life’s barriers sets out to develop his talent. As we read this story based on truth, one can’t help, but watch Joey’s struggles from the depression era, through the decades, lost love, until his dad lies dying in a hospital bed. Joey, we find had a traumatic childhood, but determination sets him on the course to overcome. Music becomes not only his life, but also his escape. Nanci writes a beautifully well-crafted story that leaves food for thought. Characters are well developed and complex, giving readers a compelling story that is not soon forgotten. Powerfully charged, an emotional roller coaster that will leave one breathless. This novel took me a while to finish because it is one of those books where you need to take it all in and savor it in order to truly appreciate its value and beauty. The story is an emotional rollercoaster, based around a main character who was given a few hurdles to jump over very early in life. With a little love and compassion though, he manages to fall in love and reach for his dreams. I found the writing in this novel to be especially amazing as it really brings the story to life. The author strings heart break, humor, failure and success together to create a story that is certainly worth the read. I’d recommend this book to anyone, especially those who need to be shown that life can go as you want it to, but it does take a lot of time and effort. It was great seeing the main character grow before my eyes too. I hope to see more work like this from the author in the future.